Tyler and Bryanna are two best friends that are very proud of their Italian-American Heritage which inspired this famous Italian dish! 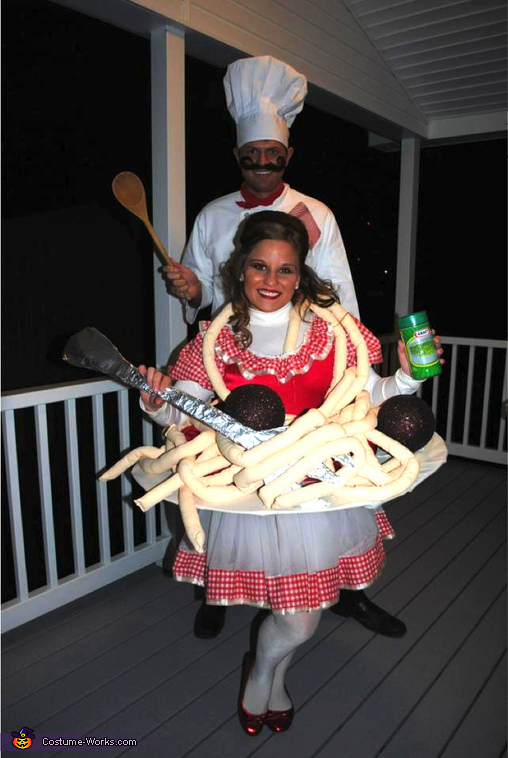 The plate of spaghetti and meatballs was constructed with old craft materials and pieces of prior costumes found in the attic. The cost for this duo was under $30!